We played our final match today. 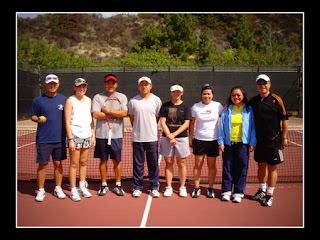 As a team we won 2-1 against Claremont Tennis Club. Unfortunately, my parter Dianne and I lost in a close third set tie-breaker. The score was 6-7, 6-4, 1-0 (11-9). We actually had 2 match points but we couldn't convert it. Darn it. I have to email the whole team with the bad news.